(Newser) – It's never too late to say you're sorry. An Italian town has apologized for sending the nation's most famous poet into exile seven centuries ago, the Telegraph reports. 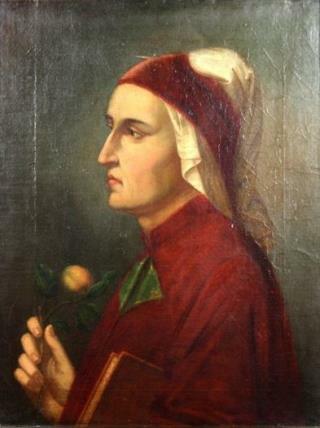 A death warrant hanging over his head, Dante Alighieri fled the city of Florence in 1302, never to return again. The father of the Italian language was charged with fraud and extortion after becoming entangled in a feud between rival noble families. Living most of his remaining years in Verona, Dante's persecution wasn't all bad: It was during this time that he wrote his masterpiece, The Divine Comedy, which satirized his enemies and Florentine politics. He died in Ravenna in 1321. It was a magistrate named Cante Gabrielli who had signed the order sentencing Dante to burn at the stake, and now Gabrielli's hometown wants to make up for that fact. Mike Pence would have Dante exiled for being a Catholic and looking like a sissy. Everybody want to get into the act! Better late than never I gues. Since all of the parties involved are long dead what does it matter? I doubt that anyone can even trace their lineage back to the people involved. Looks like nothing but political posturing to me.